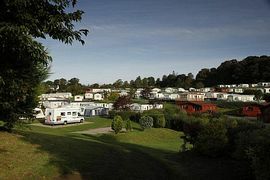 Blairgowrie Holiday Park is a friendly, family-run park set in beautifully landscaped, terraced gardens on the northern outskirts of the town. 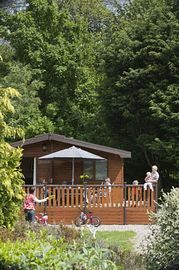 Sheltered by hills and woodlands, the park is a real sun-trap and offers a relaxing, tranquil atmosphere for our guests, but yet only a short walk to the lively town centre with its great variety of restaurants, bars and shops. Blairgowrie has long been a favourite destination with visitors to the heart of Highland Perthshire. Within a half-hour's drive of the park to the south is the historic town of Perth and to the east, the "City of Discovery", Dundee. By contrast, the park is only a short drive from the peace and tranquility of some of the most beautiful glens of Scotland, with their rolling hills and sparkling, clear rivers. 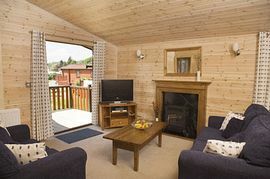 Our luxurious caravan holiday homes and Pine Lodges are designed to ensure a comfortable, relaxed and carefree holiday for you and your family while you are assured of excellent facilities and top class service from our family. 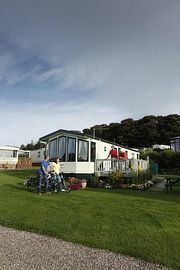 We offer level hard-standing pitches with electric hook-up points for touring caravans and motorhomes as well as seasonal pitches for tourers. 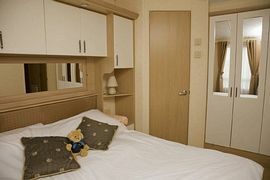 A range of new and used caravan holiday homes are always available and often a choice of pitches can be offered to new holiday home owners. Children can explore in our adventure play area and with a separate play area for the under 12's, all ages can have fun! We welcome all of our guests at Blairgowrie to use our indoor games room and lounge bar at our sister park Corriefodly (10 minutes away by car). Follow the A93 approximately 15 miles North of Perth into Blairgowrie. Continue on the A93 over the River Ericht bridge, taking a left at the top of the rise and follow signs for the A93 to Glenshee and Braemar. Take a right about half a mile along the Balmoral Road following the brown and white international caravan sign - the park entrance is on your left about 500 yrds. Full week prices range from �239 - �520 for 4 people or �260 - �605 for 6 people.